Dr. Lois Lagier and our exceptional team of dental professionals provide comprehensive dental treatments for the whole family. In 2018, Dr. Lagier was named the second-place winner for “Best Dentist” in the Reader’s Choice Awards by the Monterey County Herald. 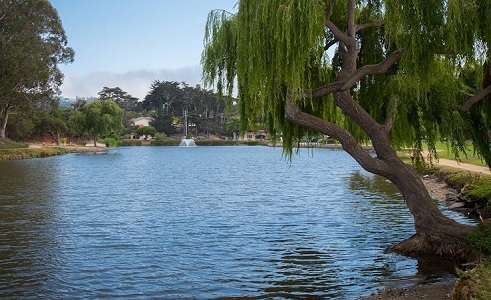 For over 40 years we have been providing proactive dental care to our beautiful coastal community including the Monterey Peninsula, Pacific Grove, and Carmel. Whether you are looking for aesthetic restorations or a simple cleaning, we provide the services you need for a healthier, radiant smile. Ready for your next dental appointment? A healthy smile is a beautiful smile. At our Monterey dental practice, Dr. Lois Lagier provides an array of dental treatments that target patients’ specific needs and concerns. We welcome families of all sizes to our office and do our best to provide care to fit every individual's specifications. Our focus is to provide dental care that maintains optimal oral health, catering to any specific issues immediately. Monterey dentist Dr. Lagier is experienced in the art of cosmetic and functional restorations and prosthetics. We take the time create custom treatment plans that target your functional and aesthetic needs. We are focused on delivering the best dental care available and providing results that are both satisfactory to our dentist and his patients. Dr. Lagier enjoys expanding her knowledge in the latest techniques and technology, with a focus on cosmetic and restorative services. By going above and beyond to participate in extra hours of continuing education, we can treat our patients with effective, gentle, and predictable care. We encourage you to learn more about our office by visiting the Our Practice page or reading over our latest articles. From young to old, our focus is to provide dental care that ensures healthy smiles. We understand that visiting the dentist can be an anxiety-inducing endeavor, but we do the most to create a calm atmosphere to help you relax in the dental chair. Patients can benefit from oral sedation, a method that allows them to feel at ease before and during their treatment. We want patients to feel confident in asking questions about treatments and financing those procedures. We take the time to explain each treatment to our patients, as well provide alternatives, so that they have better insight on what we recommend for them. Our Monterey family dentist has the dental treatments you need to ensure your family’s smiles are healthy and well-cared for. We welcome all patients to our practice, give us a call today to schedule your family’s next dental visit!